I’m such a huge fan of the Dead Rising franchise. At the end of the day, sometimes it’s good to curl up on your couch sipping a cup of tea while plowing through hordes of zombies. 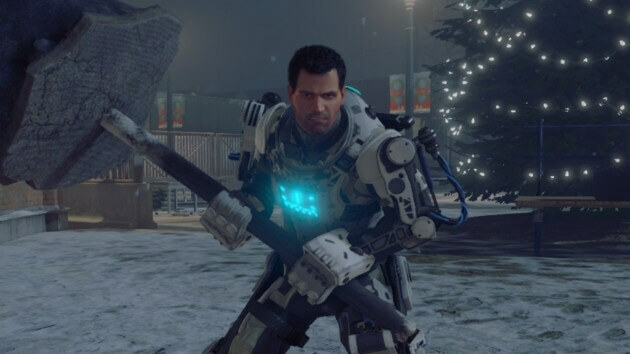 Fortunately for all of us, series protagonist Frank West is back in action for what seems to be a reimagining of the first game but set during Christmas time. I mean, what better time is there to pick off hordes of the undead? Here comes Dead Rising 4. The demo I saw at E3 2016 was pretty much what you would expect from this over-the-top franchise. We got to see Frank running around with various forms of weaponry, plowing through wave after wave of zombies as snow fell and danced festively overhead. The carnage was everywhere, and fans seemed to be having a good time finally bringing the series back to its roots. A spectacular item of note was the robot suit that turned everybody’s favorite photographer into a heavy, gore-inducing doom-machine. It’s going to be a blast. One very interesting fact is that it will be out for both the Xbox One and PC simultaneously, begging the notion that it is a part of the initiative to promote cross play between the platforms. Do you guys think? Are you ready to dive back into the crazy world of Dead Rising with the man who started it all? Let me know what you think in the comments below and, as always, stick with ITM for everything fun! E3 2016: A living Watcher from “Horizon Zero Dawn” preys on convention guests!